Dark Souls has a reputation as a dark fantasy game where women fused to demons, cannibal executioners, and zombified humans make their home. But it looks a little more like a fun place if you pump the brightness and change some of the lighting effects. The video spoils the entire game of Dark Souls. The entire game. I promise you, lots of things are spoiled in this video. Lots. 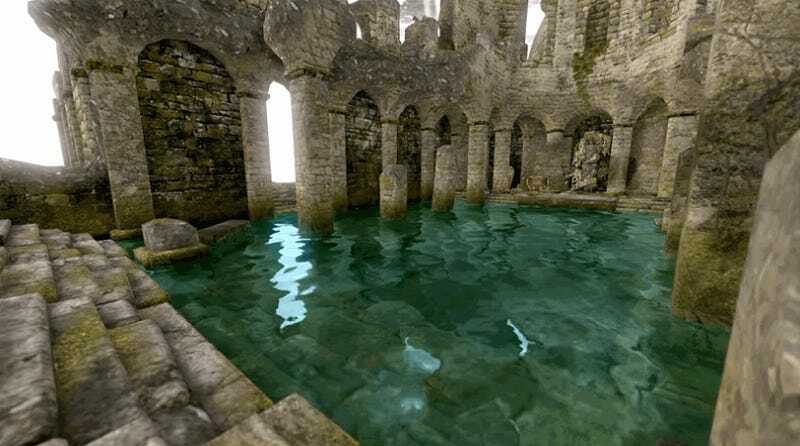 Created by Reddit user theelfriede, the brightened up Dark Souls experience is the result of some edited parameters in how the game draws its locations. In the description of the video, they explain that the process involved removing the game’s DrawParam folder and fiddling with some of the RGB values. In Dark Souls, the DrawParam folder controls how the game handles lighting and visual elements like fog. Dark Souls achieves such unique looks for its areas by assigning each broad zone their own DrawParams that give them distinct ways of handling light. The Tomb of the Giants, for example, is so dark that you can barely see in front of your face, and it’s no coincidence that PureDarkness, a mod that transforms the game into one huge Tomb of the Giants, similarly deploys edits to the DrawParam folder. Removing the DrawParam folder gives the game a light that’s everywhere all the time, even in underground spaces, and it makes for some weird sights if you’re familiar with the game already. As you can see in the video and in the images I’m including before, removing the “dark” from the game gives a pastel look that almost verges on a cartoon for teens. The mound at the bottom of Blighttown doesn’t look like a horrible insect hive. Instead, it’s almost friendly in a Zelda-y way. And, heck, the Gaping Dragon looks positively jolly in its tropical blue water arena.